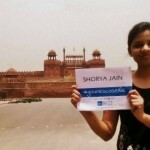 A solo trip and Go Heritage Run - Udaipur - GoUNESCO - Make Heritage Fun! This was my third solo trip. I ensure to make every solo trip unique. 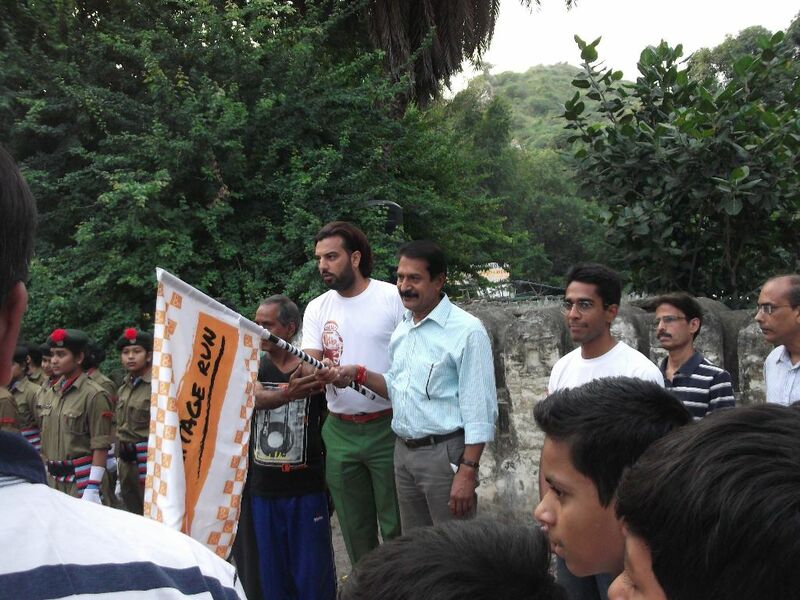 This time I was going to participate in the Go Heritage Run – Udaipur. I was introduced to GoHeritageRuns through a facebook photo that one of my acquaintances liked. That particular run was conducted in Ooty. I started following GoHeritageRuns ever since. Fortune favored. I came to know about The Heritage Run to be held at Udaipur – first time in North India. The fact that UNESCO was one of the supporters of the event was another reason why I wanted to participate in the fun run. Udaipur is just an overnight journey by train from Delhi. 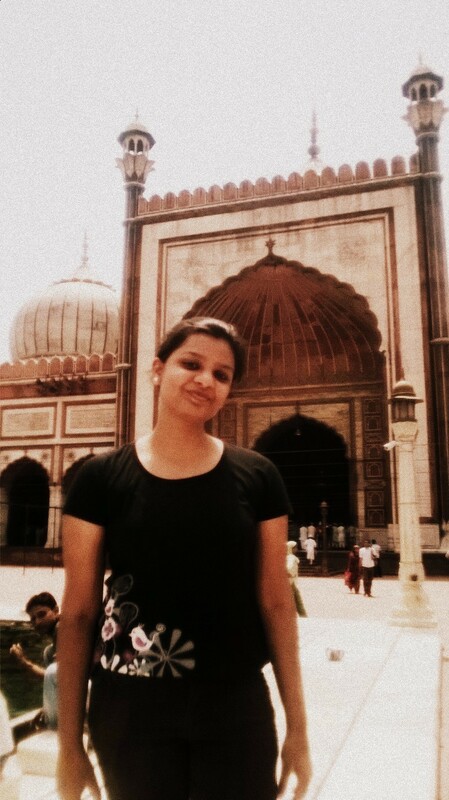 It was an ideal occassion for my solo trip as well as my first run outside Delhi. I sincerely read all the travelogues and articles about Udaipur that the Go Heritage Run team uploaded on their website. 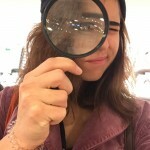 When I started planning, I had further questions on the event details. The team promptly replied all my questions. I preferred to travel by Mewar Express. It has fewer stops and is pretty clean. I usually search for accomodations that are closer to the place of my interest. The run was supposed to start from City Palace, so I booked an accomodation online in this area itself. 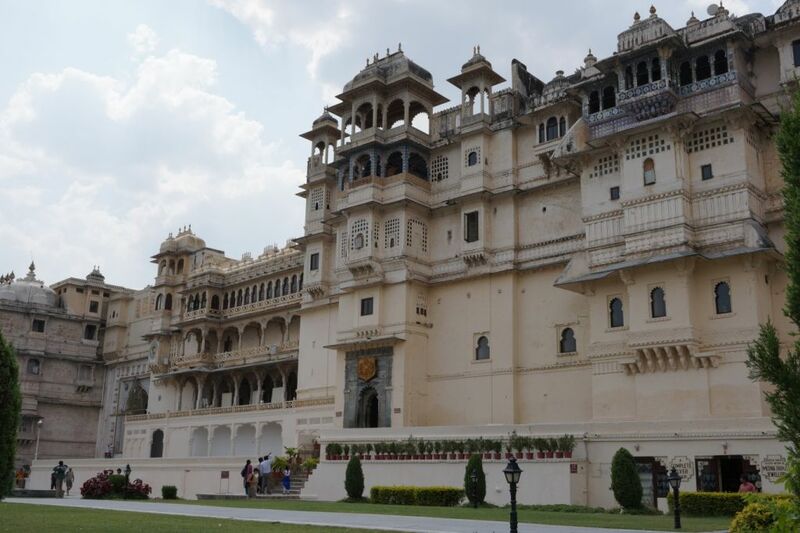 This area is known as “Old Udaipur” and there are many budget hotels available near City Palace. It is the main tourist destination. All restaurants in this area are roof top ones – to provide a good view of Lake Pichola while you enjoy food. 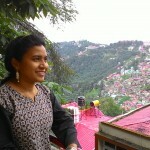 The prices can be exhorbitant for an Indian tourist, but cater to all type of tastes – Indian as well as International. I found some ‘ground floor’ budget restaurants near Jagdish temple area. My itinerary was simple as I had to spend only the weekend in Udaipur. My first destination after reaching Udaipur early morning and having breakfast, was to collect the bib for the race. The collection place was at the Vintage Car museum. I met the GoHeritageRun Team and was glad to talk to them. I hope to become a volunteer just like them! The Vintage Car Museum is well-known and is part of the HRH group. I had many other things on my itinerary so decided to skip this rare beauty for now. From here I went to Karni Mata Temple. (I ended up doing a time-wasting route due to bad planning. I would advise you to check your itenary on google maps, if you are planning a trip on your own). I enjoyed the cable car ride and the fabulous view of Lake Pichola, Doodh Talai and the city from this temple. The most famous Karni Mata temple is in Bikaner and is filled with rats. If you observe carefully, you will find a big cage full of white mice in the Udaipur temple. 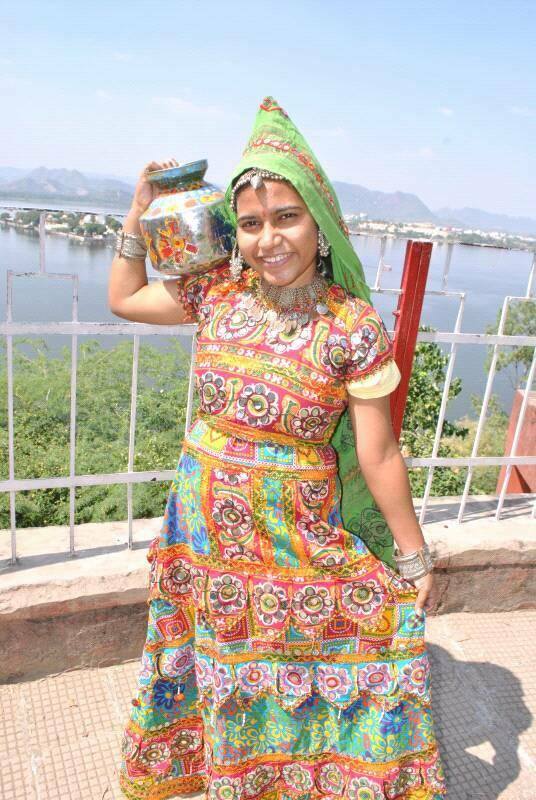 I liked being photographed in a traditional Rajasthani dress at the Sunset Point near Karni Mata Temple. My next destination was Sajjangarh or the monsoon palace. 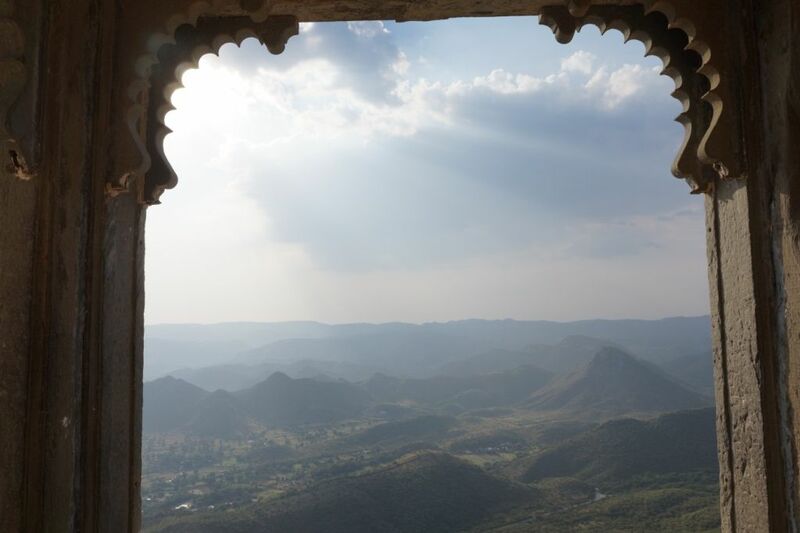 It offers a fantastic view of the old and green Aravalli range mysteriously veiled in sunlight. 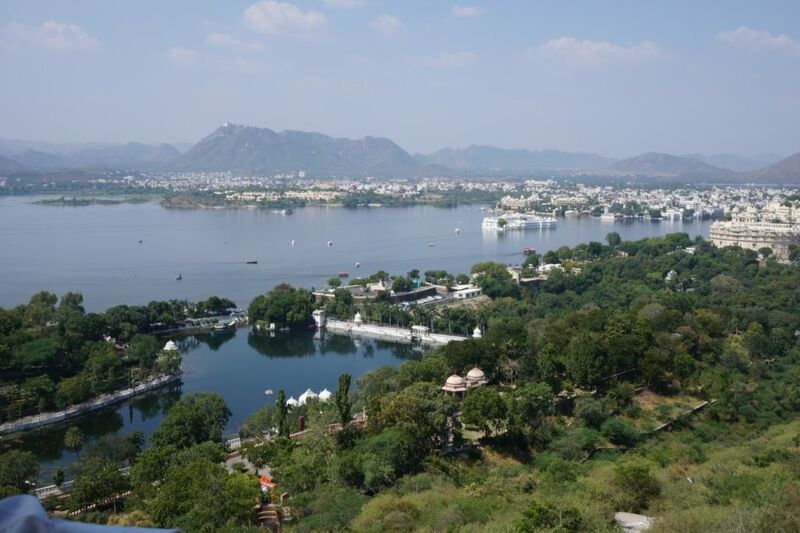 The other side spreads a live map of Udaipur with the city buildings sprawled between the two vast lakes – Fateh Sagar Lake and Pichola Lake. I spent a long time experimenting with my DSLR camera here. But the lens hardly captures the satisfaction that the soul receives through the eyes! 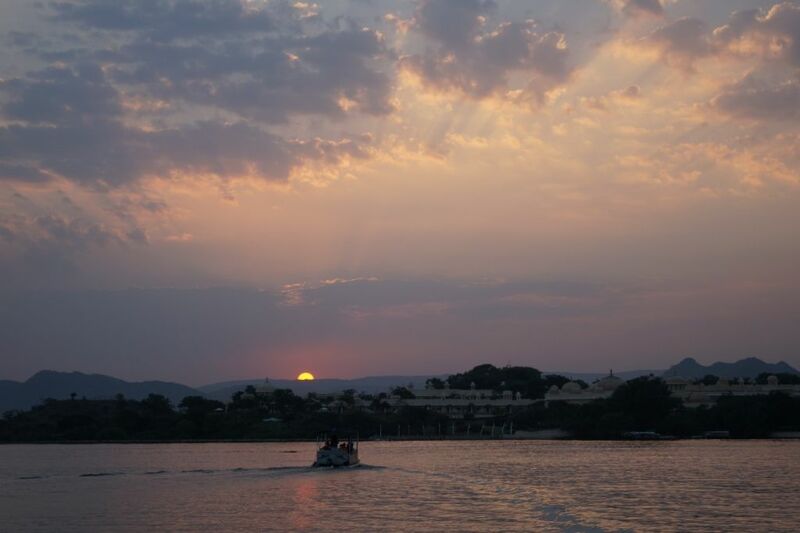 There are many places in Udaipur famous for sunset views. I had to choose between Karni Mata Temple, Sajjangarh and a sunset cruise on one of the lakes. As I was tired and hungry, my only option was to go back to Pichola Lake for a sunset cruise. A wiser option would have been to go to Fateh Sagar Lake. No matter what, the sun setting on the waters of the lake circled with palaces, the open sky, and the misty Aravallis are a delight to any person – more so to a photographer! The day ended with a wholesome dinner and some shopping in the bylanes of Palace Road. Before dawn, we assembled in the premises of City Palace near Sheetla Mata Temple. The organization was fantastic. NCC cadets stood ready to volunteer. The participants ranged from an old localite, who ran half marathon barefoot, to school children. I also met three families who enthusiastically participated along with their children. That is a rare sight to see in the usual running events. I got an opportunity to interact with local people as well as people from other states – throughout the event. The event was covered by two RJs and we were all heroes on the radio that day! The race was flagged off by the Prince of Udaipur – HH Sri Laksyaraj Singhji and the Mayor of Udaipur. I succeeded in photographing them from close quarters! 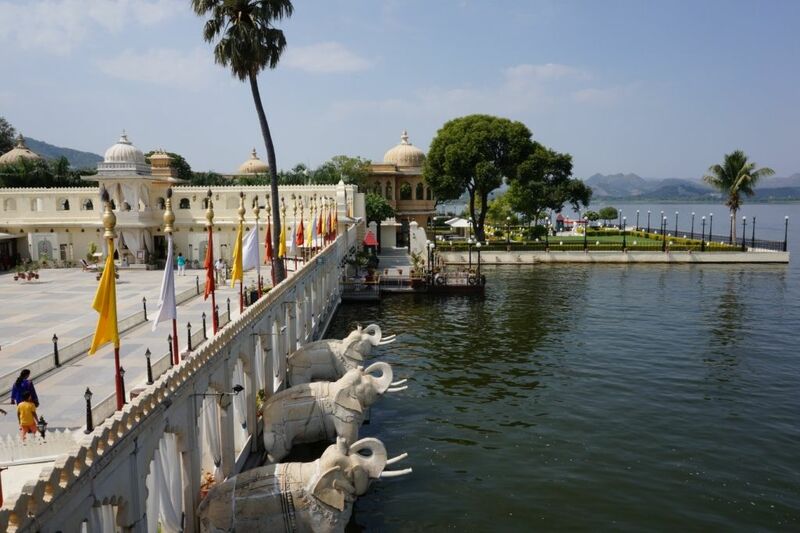 My visit to Udaipur really seemed like a fairytale! I carried a small camera in my hand so that I could stop and click the morning scenes of a town that wakes up even before dawn on a Sunday morning! Yes, I was running, I was talking and I was clicking photos. There were times when the curious onlookers – local as well as international tourists, stopped me on my way to get more details about the run. They were happy to know that all the run was to promote the heritage of the country as well as of the world! Certificates, medals in the form of hand-made miniature paintings of the horse, and refreshments were given in a very orderly manner after completing the race. I went away with a wish to participate again. In usual races, I would have been tired after running 5kms against the clock without observing the beauty that the route offered. But this time, I was infact refreshed. 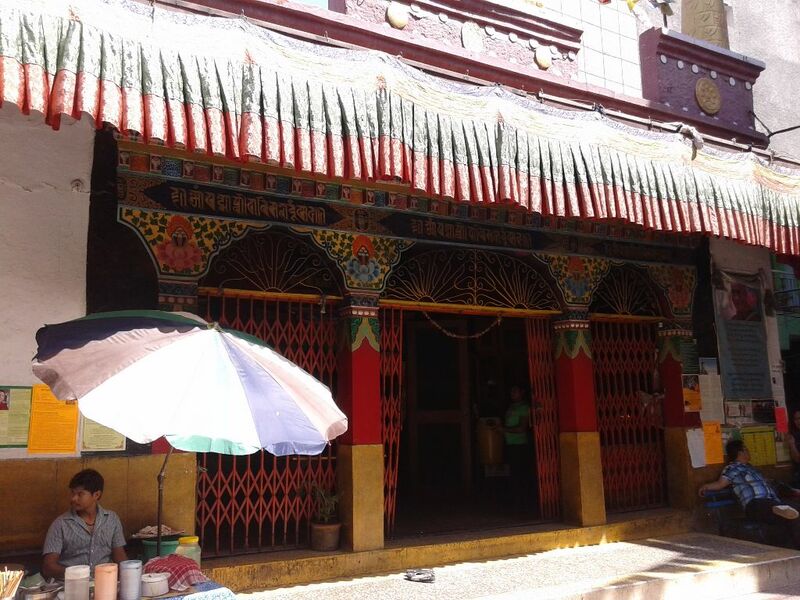 I had two important places on my itinerary – the Palace museum and Jag Mandir. Jag Mandir is an island hotel that belongs to the HRH group and tickets for the boat ride to reach it can be bought only at the Palace. I first travelled to Jag Mandir. 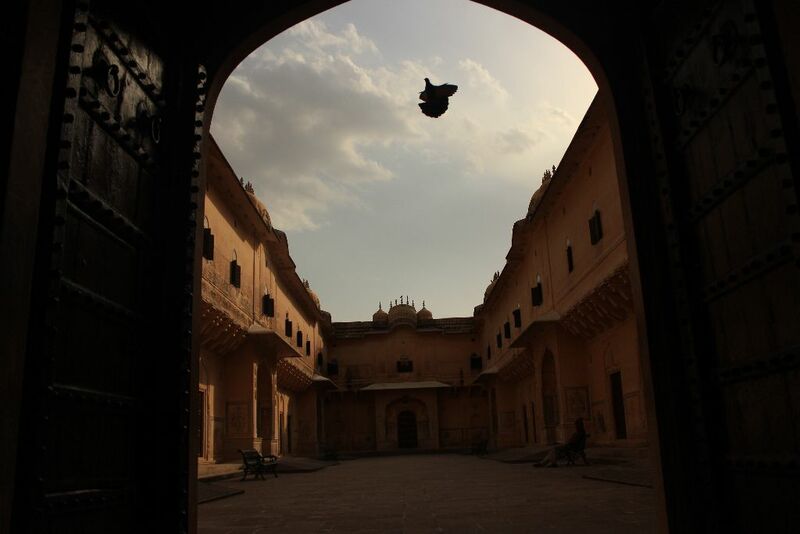 It is a fantastic place worth a visit that offers an insight to how wonderful our Indian Palaces would have been. It has thick curtains that decorate the stone arches – which is the true splendour of the place. As I had participated in the GoHeritageRun, I was privileged for a discount on the entry tickets to the museum. The only thing I regretted is that I did not carry my camera inside the museum. The City Museum makes history of the brave Indian Kings come alive by showcasing many paintings, artillery and artefacts. 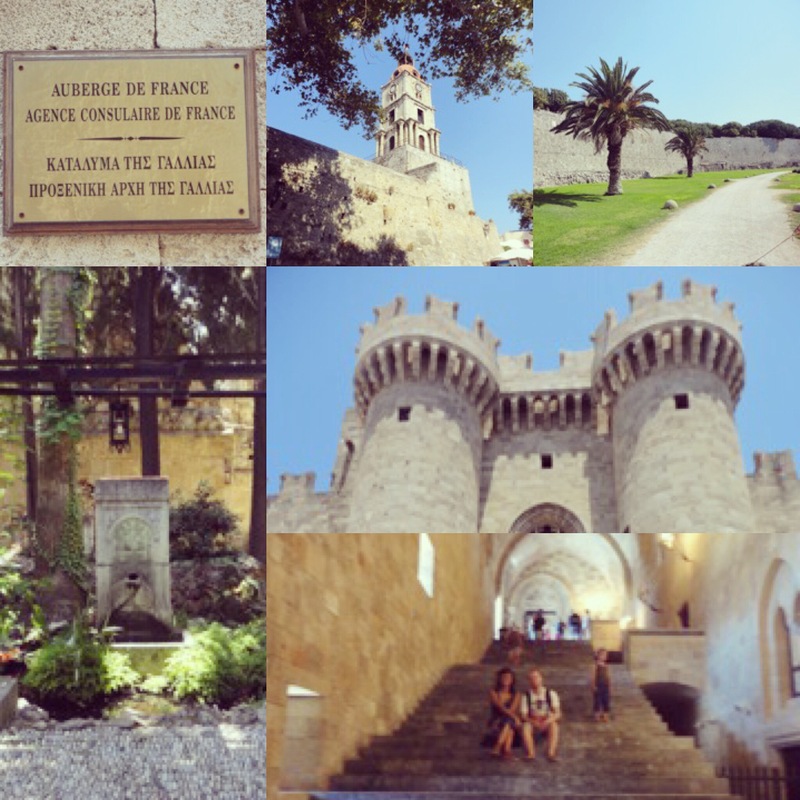 The Palace architecture itself is wonderful – each staircase leading to a totally different aspect of the Palace. 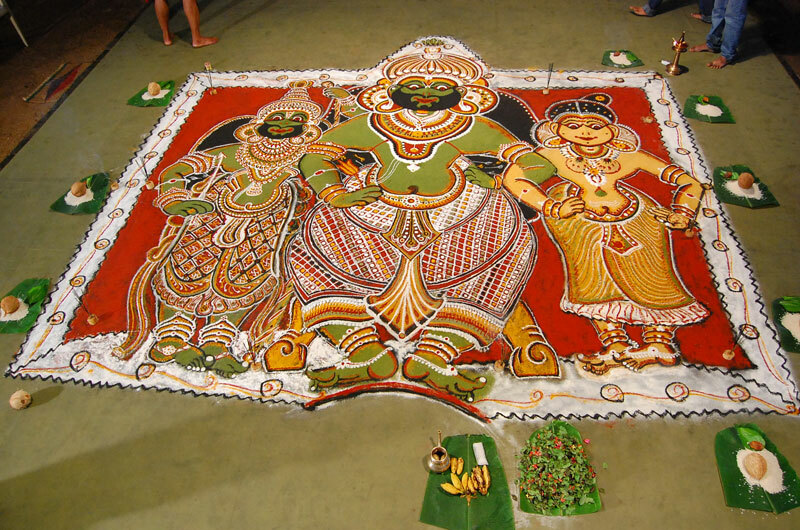 The most famous of these is the color glass and mirror work done on the walls. Apart from taking the services of a guide or an audio guide, you can also buy a book, which details the history and various aspects of the museum, at the museum itself. I wanted to wander in the Palace grounds soaking in the beauty of the Palace’s architecture, which protected the history of five centuries for a longer time, but I had to catch the train back to Delhi. A place’s beauty is surely memorable, but what really makes an impression are its people. The people of Udaipur are extremely helpful and warm hearted. I found the streets to be safe. The people are hard working. Be it the sculptors who sculpt stone statues before you, or the leather artisans who will be willing to emboss names on the leather articles you want to purchase, or the auto rickshaw drivers who will present their visiting cards in case you want to see the whole city of Udaipur in one day – their art and their love for their city is visible. They will walk that extra mile for you to have fond memories of the city. My main aim was to experiment with my DSLR camera, so I ended up spending more time at some places. Also, I missed out on tasting the local cuisine at the famous Natraj Hotel. Apart from sweets and a breakfast of Chokha Baati, fried snacks – “Bhujjia” are a must try. 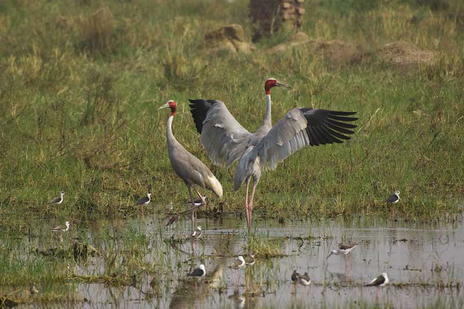 A good planning would have ensured a visit to Fateh Sagar Lake and to Shilpgram that showcases the culture of Rajasthan. A visit to the nearest World Heritage Sites – Kumbhalgarh fort and Chittorgarh fort is most recommended, but that would take two more days. 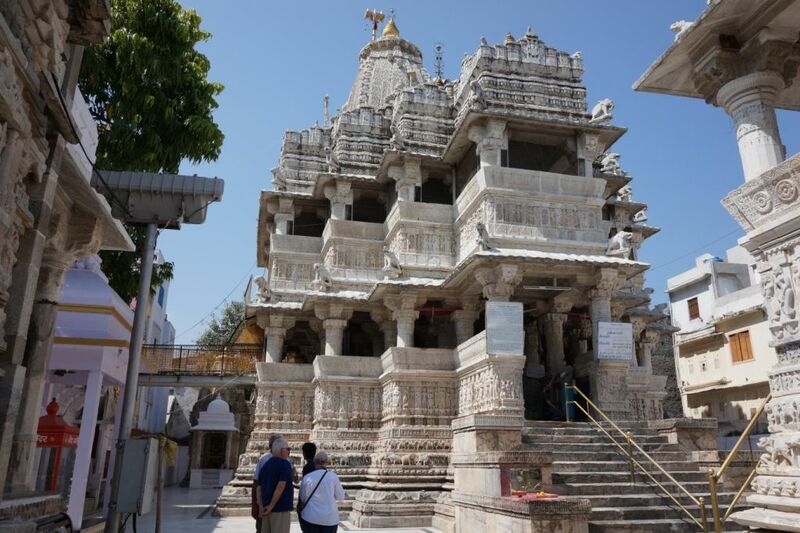 Another recommended site is the Ranakpur Jain Temple.